looks pretty good. im new on here too, its nice to see another teg owner here. are you on h-t? where do you get you alum plate from? and in what size? Hey. Yes i am on H-T i am user 0554 on there. I get it from metal supermarket and its 1/8''. Depending on what i am doing i have them cut it to size and if not i use my bandsaw. how well do you like your synk 200? i am very close to picking one up. Nice welds, I like the car too! Good pics. nice catch can too. Dont really like the car (more of a RX7 or RWD guy myself) But I appreciate the time, sweat, blood, and money in it. Work looks good though, and you aren't scrimping on quality. Rock on. 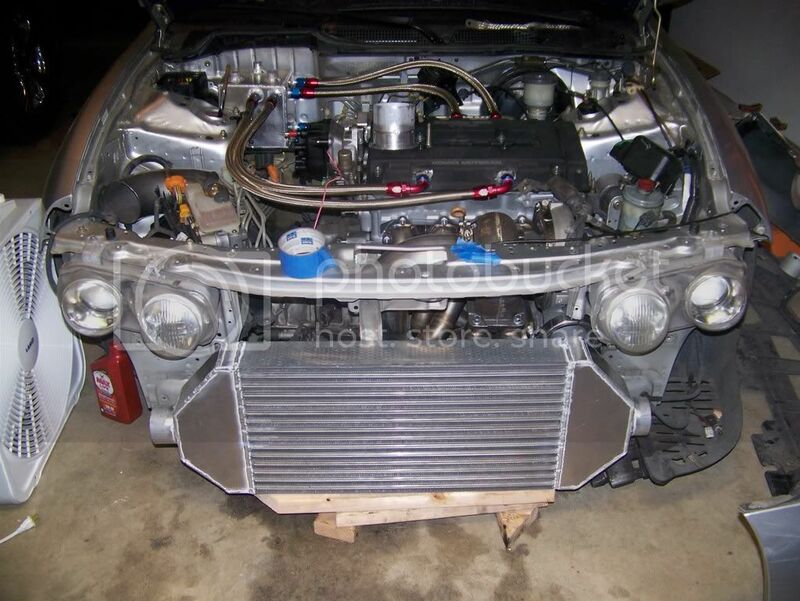 wow good work.Did you make your own intercooler also? i like it. i havent had anything i couldnt weld up yet. As far as comparing it to other machines only thing i can compare it to is an econotig and sync180. Thanks. I am exactly like you. Dont care for many other cars but hey. I respect a fast car no matter what it is. If its fast who cares what kind of car it is. picked up a garrett core and then i built the endtanks. 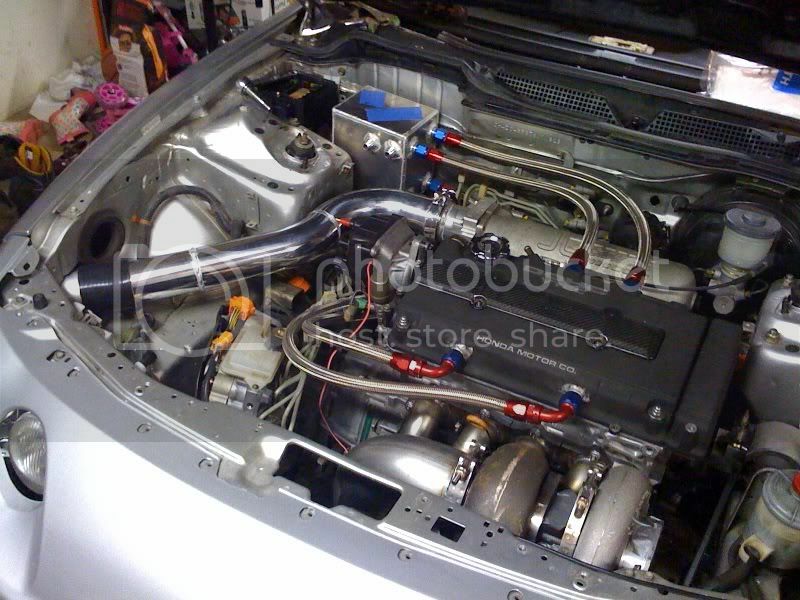 How are you cooling that engine ? I see no radiator. lol. wasnt installed during those pictures. lol its actually still not installed haha. I think you should get another core, and make your own radiator as well...might as well. It'd be good practice anyway. Anything put together well, that halls @$$ is worth a look though. I agree with that. That is exactly what i am going to do when i get more time. 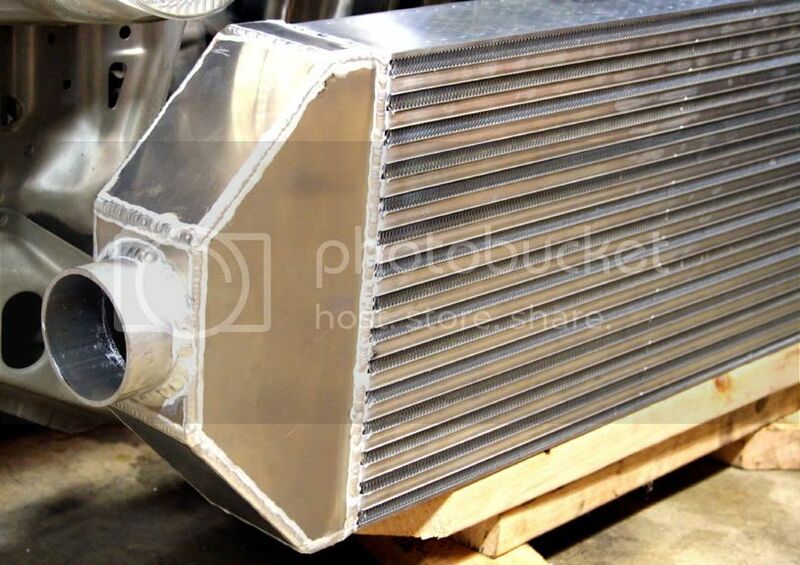 Right now i am going to run a stock radiator and later this year i am going to build a custom one.